Upon arrival at the Chennai airport, our tour representative will assist you in smooth transfer to the hotel. 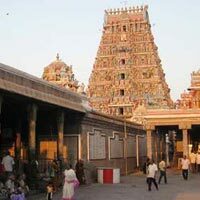 Take rest and fresh & up, set out for a full day sightseeing tour of Chennai. Later, visit the famous Marina Beach (the second largest in the world), Kapeleeswar Temple, Fort St. George (the oldest fort in Chennai). Thereafter, head straight to Santhome Cathedral, National Art Gallery, St. Mary’s Church, Anna Zoological Park, Birla Planetarium and People’s Park. Make a brief halt at Kalakshetra and Theosophical Society before returning to the hotel for overnight stay. 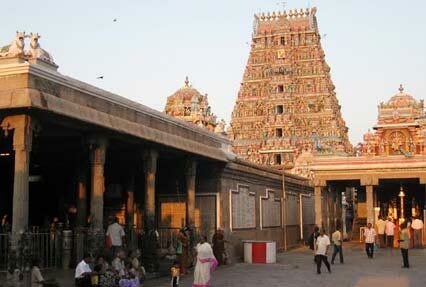 Post breakfast, you will taken on a scenic ride to Kanchipuram- the land of 1000 temples. Explore this small town for its rich heritage and do not forget to take some world famous Kanchivaram Sarees back home! Later in the evening, you will return to Chennai for the overnight saty. Post breakfast, you will be taken to Mahabalipuram, another town famous for its ancient temples. Explore the architecture of our forefathers. Explore Mahishasurmardini Caves, Shore Temple, Krishna Mandapam and Arjun’s Penance. Later, proceed towards Panch Rathas, a cluster of monolithic temples, Crocodile Farm, home to over 100 crocodiles, School of Art & Sculpture and Snake Venom Extracting Center. Overnight stay at Mahabalipuram. Post breakfast, you will be taken across the border to Puducherry which is India’s own french town! The drive might take up to 3 hours. A former french colony, Puducherry has retained the french flavour till date. You can visit Basilica of the Sacred Heart of Jesus, Rock Beach, Bharathi Park and do not forget to check out the patisseries. They offer french treats! Overnight stay at Puducherry. Post breakfast, you will be taken on the sightseeing of Puducherry. You can visit Mahe, which several sights to offer. It has several cafes and bistros. Overnight stay at Puducherry. You will be taken for departure transfer from Chennai airport. We hope you had the best time of your life! We hope to see you again!